A $150,000 donation from KW Cares (a charitable organization attached to Keller Williams) for the Will Norton Memorial Miracle Field to be built by the Joplin Rotary Club, including $358,000 already received from other Rotarians around the country. The facility, planned to be built at the Joplin Athletic Complex, will be for children with disabilities. 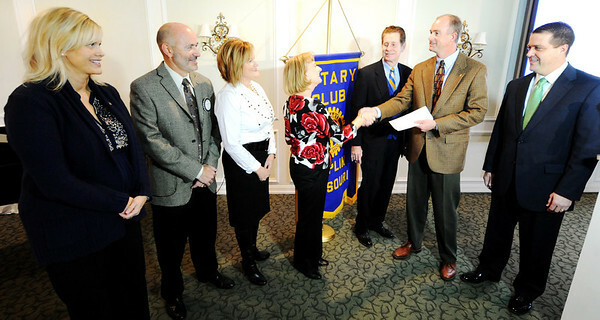 Pictured from left are: Jenny Hocker, Keller Williams sales associate and chairperson of the Joplin Rotary Tornado Taskforce; Mark and Trish Norton, Will Norton's parents; Doris Carlin and Kent Eastman, Keller Williams representatives; and Greg Crawford, Noon Rotary president.